Do you like a colourful Scandinavian bedroom in typical Scandinavian colours? Or rather a subdued, natural bedroom? With us you will find a wide range of home accessories for a comfortable bedroom. Scandinavian design only. You can decorate your own Scandinavian bedroom in a unique way. 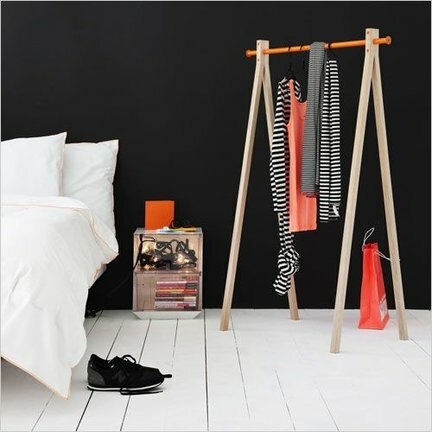 In our offer you have the choice of functional home accessories that are also beautiful in your bedroom. It's fun to surf in our range. Just by looking at it, you can image what the new design of your Scandinavian bedroom will look like. Please take a look at the beautiful posters with which you can decorate the walls. But also look at practical things, so you can experience comfort in your bedroom. Think of a plaid over your bed, for example. Or an extra pillow under your head to read your exciting book in the evening.